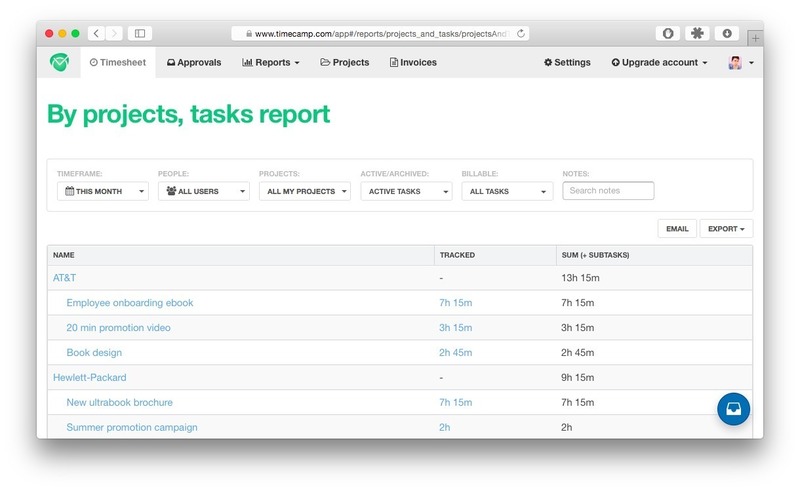 Time-tracking and invoicing for teams. Is there a better alternative to TimeCamp? Is TimeCamp really the best app in Productivity category? Will TimeCamp work good on macOS 10.13.4? TimeCamp is time-tracking and invoicing software that helps to increase your team’s productivity. It records every minute of the task your team is working on, shows results in clear reports, and allows you to square-up with clients accurately. We believe that time-tracking is the straightest way to improve every business! TimeCamp needs a review. Be the first to review this app and get the discussion started! TimeCamp needs a rating. Be the first to rate this app and get the discussion started!